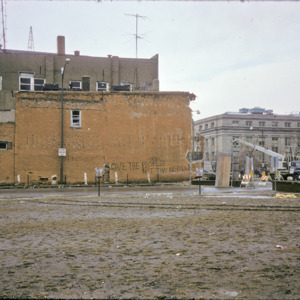 During urban renewal. Future site of Old Capitol Mall. Graffiti: "Love the people not the needle!!"